At Animal General in New York City, we consider preventative medicine the best kind of veterinary care. We'd much rather give your furry family member regular care during wellness checkups than to treat him after he becomes sick. We recommend that all of our pet patients come in for regular wellness exams, which include a number of different procedures. One of these procedures is pet vaccinations, which help your pet to develop immunities to the most dangerous diseases in her environment. When we vaccinate your pet against a certain disease, it causes your pet's body to develop antibodies against that disease. This process will create an immunity to that disease in your pet's body, keeping him safe from contracting that illness. 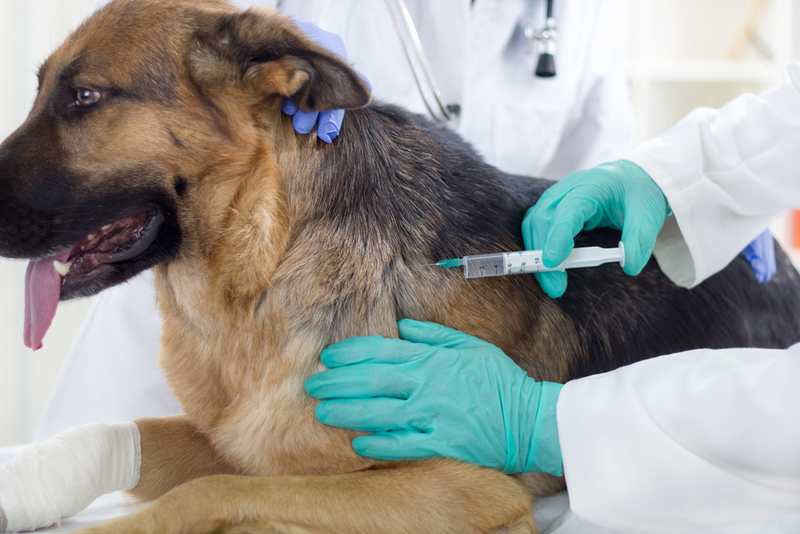 When Should I Vaccinate My Pets? Puppies and kittens have natural immunity from diseases that they get through their mother's milk. Once these animals are weaned, they're no longer protected and should begin the process of being vaccinated. We like to begin puppy and kitten vaccinations at about two months of age and will administer a series of three or four vaccines to help build up your pet's immunity. In most cases, we'll give the final vaccine of the series when your pet is about four months old. Adult dogs and cats don't have permanent immunity, though. They'll need booster shots throughout their life to keep their immunity strong. Some vaccines, like rabies, should be administered yearly. Others can be scheduled once every three years or so. There are two basic types of vaccine: core and non-core. Core vaccines are those that we administer to every dog and cat we care for, such as rabies, distemper, canine parvovirus, and feline leukemia. Contact our office for a full listing of our vaccines offered. Non-core vaccines are given only to those pets who are in danger of diseases in certain environments. For example, if your pet is going to be boarded in a kennel, or if you have a dog that frequents dog parks, she'll need to be vaccinated against bordetella, or kennel cough. If your dog spends time outdoors running in wooded areas, he should be vaccinated for Lyme disease. How Can Your Veterinarian Choose the Right Vaccines for My Pet? Before we administer any vaccines, a member of our veterinary staff will consult with you to discuss your pet's health and lifestyle. We'll decide which vaccines are needed after that. Your pet needs regular vaccines in order to stay healthy all year long. Give us a call to schedule your pet's next examination. Contact us at (212) 501-9600 today.